Karate is a Japanese martial art developed in the Ryukyu Islands in what is now Okinawa, Japan. It was developed from indigenous fighting methods called ''te'' and Chinese kenpō. ''Te'' is in fact pronounced ''tii ,which is Okinawan for the word ''Hand''. You have to go back to 1392 when the Ming Dynasty established trade relations with the Ryukyu Islands. Many Chinese people came to Okinawan Islands for cultural exchange purposes . Many brought their knowledge of Chinese fighting arts ( many of these martial artists were from Fujian) ,but it was two factors that led to the progress of Karate in the Islands ,the first was the Political Centralization of the Islands in 1429 and then in 1609 when a banning of weapons was enforced after the invasion by the Shimazu Clan, this all led to the development of unarmed combat . People found new ways of defending themselves using what they were born with ( Hands and Feet). The influence of Chinese Kung fu was very evident ,as many Japanese went to China to study their Political and practical disciplines. Many of these persons went on to discover the usage of Kung Fu , styles such as White Crane and Gangrou-qan ( a hard /soft style) . They learnt these because of the ever increasing banning of weapons . There were other influences to from South East Asia ,where many of the Okinawan weapons like ''Tonfa''Sai'' and the ''Nunchuku where influenced from regions like Java ,Sumatra and Melaka. So when did Karate as we know it today start to really develop? Well one man by the name of Sakukawa Kanga( 1782-1838) who had studied Pugilism and the Bo introduced a fighting art in 1806 which he started to teach in the city of Shuri ( he called it Tudi Sakukawa ). 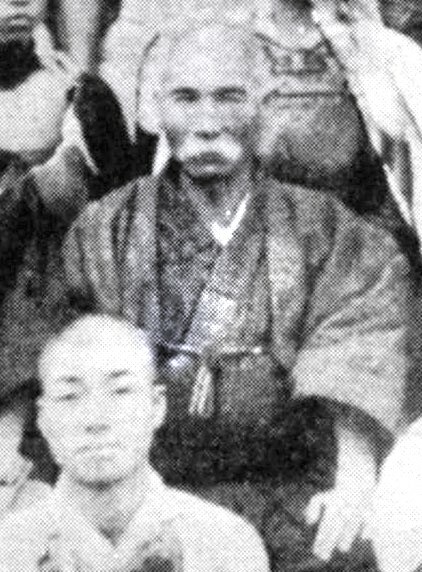 Now one Sakukawa's most notable students was Matsumura Sokon who himself started teaching a combined art of Shuri'Te ,Tomari'Te and Shaolin kung Fu in the 1820's ,it later became known as Shorin-ryu .Matsumura taught many notable students but one man would be come instrumental in the birth of Modern Karate ,that man is one Itosu Anko (1831-1915) . Itosu Anko took some of Matsumura's forms and adapted them into a more simplified Kata ( known as the Ping-an forms). 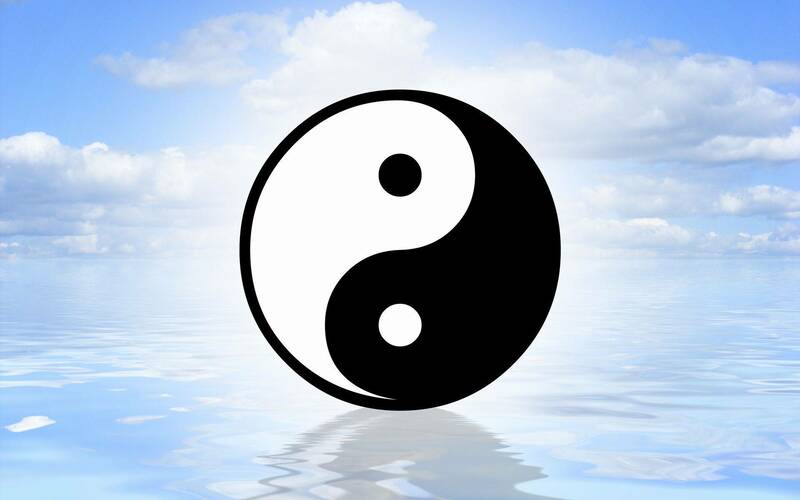 It was this simplification that made it easy for beginners to learn and this also helped the introduction of Karate into Okinawan schools which Itosu Anko and Asato Anko instigated. ,where these Kata's were taught to Elementary level students. Asato Anko was also a master Karate exponent ,who also had experience in Swordplay and and Horse riding . Itosu Anko had many notable students ,many of which where responsible for the introduction of Karate to the Japanese mainland , Among them were Gichin Funakoshi,Kenwa Mabuni and Motobu Choki. Itosu Anko is often referred to as the ''Grandfather of Modern Day Karate '' a title often used in connection with Gichin Funakoshi who is in fact the ''Father of Modern Day Karate'' because of course without Itosu Anko and Asato Anko's teachings Funakoshi Gichin may have gone in another direction as he was a expert Jujutsu exponent as well. Many of the original masters had a background in Jujutsu and it's from these various styles that many variations in the arts were created. There is another ''te'' style of karate ,in 1881 Higaonna Kanryu came home to Okinawa after years training with Ryu Ryu Kyu ,he developed his art as Naha te . It was again one of his own students that went on to found Goju Ryu ,he was of course Chojun Miyagi. Another style in addition to the 'te' styles one other style influenced Okinawan karate ,it was one Kanbun Uechi who at the age of twenty fled to China to escape Military conscription , he went to the Fuzhou province in Fujian ,he studied under Shushiwa. 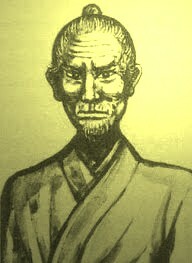 He was a leading figure of Chinese Nanpa Shorin-ken at that time. 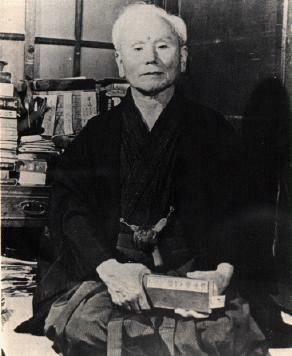 As becoming popular in mainland Japan ,is Funakoshi Gichin who is credited as the first real influence ,though many of the other Okinawan masters also helped orchestrate the introduction of Karate to the mainland. 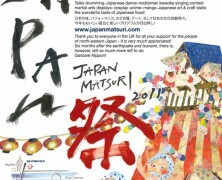 Among them Kenwa Mabuni,Chojun Miyagi ,Motbu Choki and many others . All of them experts in their chosen field . 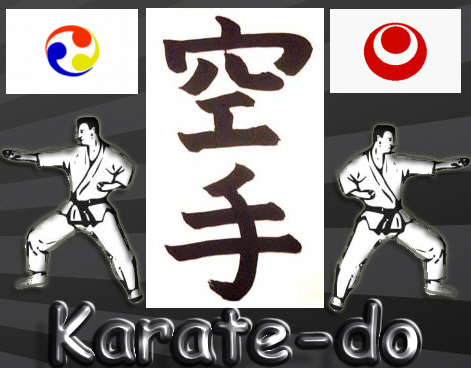 One thing that was done was to change the name of the styles ,instead of using the native style names which had a very Chinese ring to them , then by adding ''DO'' to the end of the word''Karate'' it gave new meaning to the art (not that it was just meant for fighting) ,so Karate became ''Karate-do'' .It was a way of implying that the art was a means of a way to self Knowledge and not just about the intricacy of the fighting methods. ( The one thing the Japanese authorities did not want was rebellious Okinawan's learning a art to fight against the Military rule . It was the time of the annexation of the Okinawan island group in 1872, the First Sino-Japanese War (1894–1895), the Russo-Japanese War (1904–1905), the annexation of Korea, and the rise of Japanese militarism (1905–1945). By adding ''Do '' to the word it gave the art alternative reason for being. . This modernization of karate also saw Funakoshi implement the White Gi and Belt system invented by Judo founder Jigoro Kano, who he consulted with about the modernization. With a coloured belt system and the introduction of the Karategi , it gave another uniqueness to the art and something the Japanese people could call their own . This was good for the art as it would open the gates for other masters to popularize their own styles by adapting a similar system of rank no matter which style of Karate they would practice. It would see the emergence of many of the popular styles we know today . But these styles where invented by former students of Funakoshi , In 1929 one Hironori Ohtsuka attended the Tokyo Sports festival ,it was here that he lay eyes on Funakoshi's Karate , he returned day after day to visit Funakoshi ,like wise Funakoshi was impressed by Ohtsuka's determination and ability to understand his Karate. .Ohtsuka became a student of Funakoshi's . Ohtsuka was a medical man and set up a sports clinic for injuries. 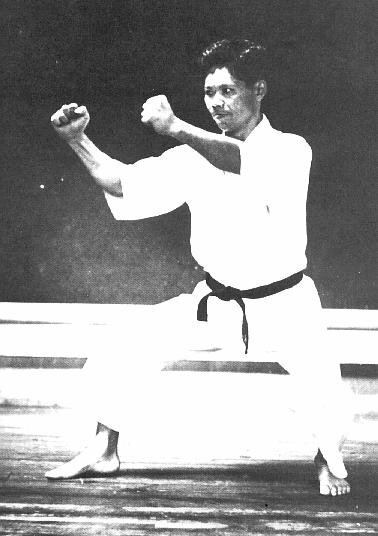 He had by now established himself as a proficient in Karate ,but as Okinawan Karate focussed mainly on forms or Kata ,he felt there lay more need to incorporate self defence techniques and even free fighting ( sparring) . It's with this that he developed his own art which would focus on broad range of technique from Kata to real life situations. Ohtsuka borrowed from Kendo,Jujitsu and more and developed a dynamic style with a emphasis on fighting . In 1934 Ohtsuka Karate was recognized as a independent form of Karate named ''Wado-Ryu'' . Here we delve in to a more in-depth look at some of the masters ,some have been so influential that their impact is vast and they have been given a separate page on site.Keep checking as new profiles will appear from time to time. Gigo was the third son of Funakoshi , he was a poorly child having come down with Tuberculosis at the age of seven ,at age 12 he took up formal Karate training in a bid to improve his health. He would often go training with his father to Anko Azato's ,where of course Itosu would be as well. When he was 17 he moved to the Main land with his father ,he got a job as a radiographer at the section of Physical and medical consultation at the ministry of education. Gigo became the Shihan of his fathers dojo and taught at Universalities ,this all came about when his fathers Shihan died. Gigo began to develop Karate in a different manner to his father ,all due to his love of Bushido and the Japanese sword. He studied Kendo under Hakudo Nakayama . It's with this knowledge that he would devise Karate as a Budo way of life . He took the short stances from his fathers and Anko Azato's styles and developed long stances with long range striking techniques ,this coupled with higher kicks gave his own style a distinct look between the Okinawan and Japanese styles .As we all know the Okinawan styles where developed from Jujutsu styles and in most jujutsu the kicks are below the belt ,mainly kicking the legs ,knees and such like. But Gigo gave us the kicks like the back kick thrust and Turning round kick. Gigo was also responsible for the technical part of the book he and his father wrote ,which was released in 1946. Over the years Gigo's health suffered and the years of the war put a strain on him , he died in Tokyo in November 1945 ,he was just 39. A selection of hard hitting Karate films which No fan should miss. Karate Inferno -1974- Yes Sonny Chiba returns in another kick fest. This is just a few that all should see ,ones reviewed on site are linked,but don't forget most early Chuck Norris films ,any films by Jeff Speakman and any other one you can think of. The World Union of Karate-do Federations (WUKF) recognizes these styles of karate in its kata list. Do you practice Karate ? Specify your love of Karate !